In developed areas, roofs, pavement, and other impervious surfaces prevent stormwater from soaking into the ground. Instead, it runs over the land surface and directly into storm drains or small tributaries, and then into larger streams. Unable to handle the increased water volume and flow, these water bodies often experience eroded banks, incised channels, loss of habitat and aquatic life, and increased flooding and property damage. In addition, stormwater can carry a broad mix of harmful chemicals, bacteria, sediments, fertilizers, oil, and grease to nearby waterways and water bodies. Retaining as much stormwater as possible on the land— rather than letting it run directly into storm drains—can help keep harmful flows and pollutants out of our streams and rivers. Additionally, storing this stormwater for use in times of no rain or to increase groundwater infiltration can also be greatly beneficial to homeowners and watershed health. 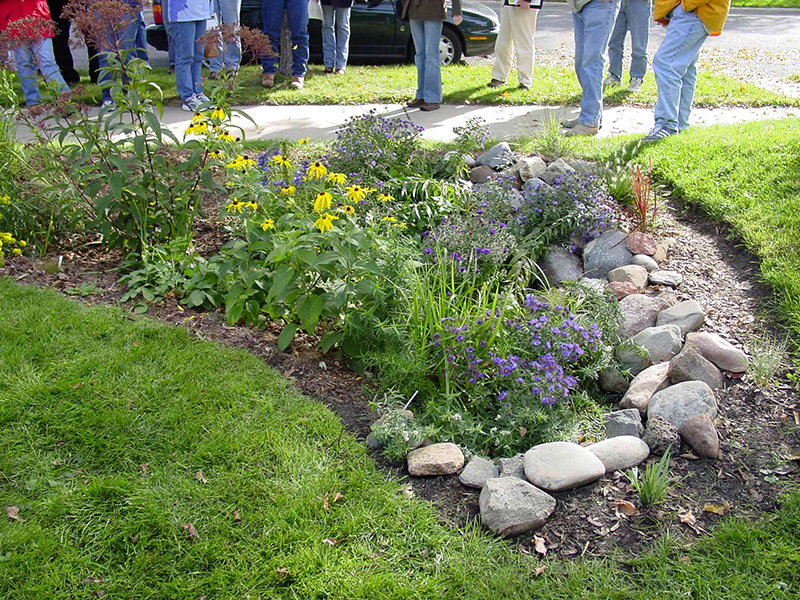 The RCD can provide financial or technical assistance with stormwater. 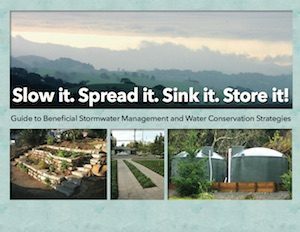 Our comprehensive guidebook to managing stormwater is available for download: Slow it. Sink it. Spread it. Store it! Groundwater is an essential component to the health and function of our watersheds, including ecosystems and agricultural, rural and urban communities who depend on its supply. 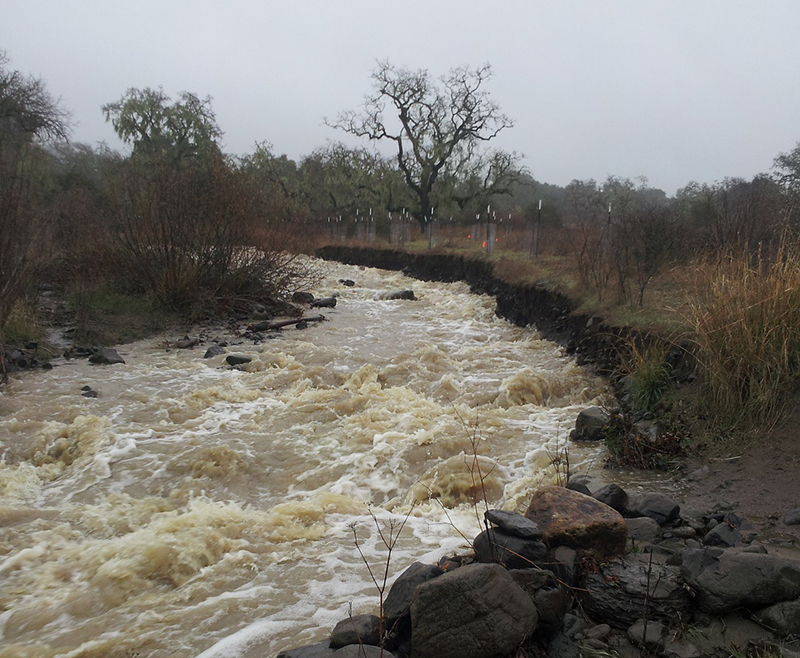 Working with local landowners and partners, the RCD assists a statewide groundwater monitoring effort called the California Statewide Groundwater Elevation Monitoring (CASGEM) program in several watersheds as well as leads a large scale monitoring effort in the Laguna de Santa Rosa Watershed. 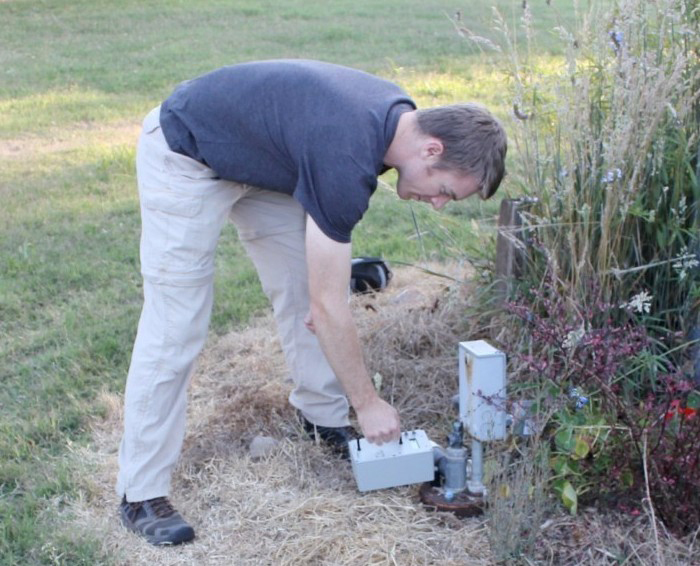 The goal of these monitoring programs is to assess seasonal and long-term trends in groundwater levels. If you live within prioritized watersheds and are interested in participating in a groundwater monitoring effort the RCD may be able to help. 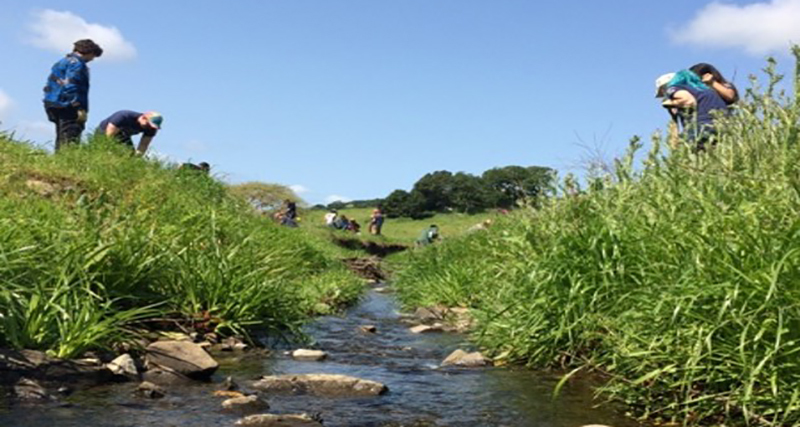 Sonoma County streams are home to a wide variety of native fish, plants and wildlife. 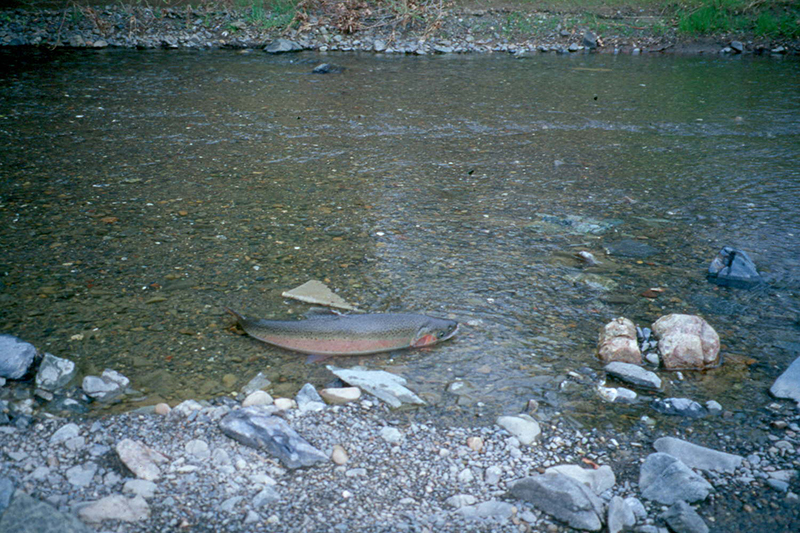 Our local streams support native fishes that include steelhead, coho salmon, and California freshwater shrimp. A number of these streams are also home to sensitive wildlife species such as the California red-legged frog. Residents living beside or near creeks, streams, and waterways often want to know how to best protect and care for water quality and the wildlife in their watersheds, and the RCD can provide technical resources and assistance. Sonoma County is home to more than 20 endangered or threatened plant and animal species, including coho and steelhead salmonids, Northern spotted owl, California freshwater shrimp, California red-legged frog, and the California tiger salamander. Property owners and land managers have asked how they can help protect endangered or threatened species. The RCD has programs and services for those who want to learn about protection of species. 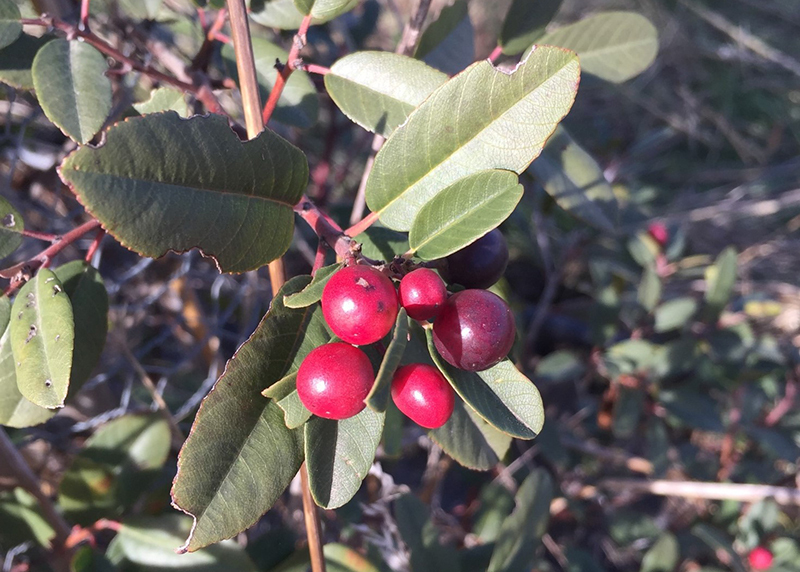 The overabundance of non-native invasive plants in Sonoma County threatens native plants and wildlife. Invasive species are marked by their ability to spread easily and rapidly. When native vegetation is crowded out by invasive plants, the result can include the decline of critical nesting habitat for migrating birds, diminished shade on streams that is vital for fish health, increased fire risk, and a breakdown of stream-bank stabilization. The RCD has technical assistance available for planting native vegetation and or removing invasive species. Eroding slopes, streambanks, and hillsides can threaten homes, buildings, crops, and roads, and can contribute large amounts of sediment to the waterways. 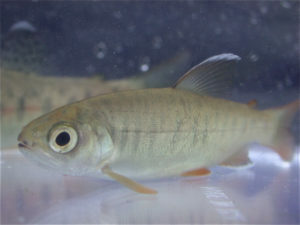 Sediments can significantly harm species like coho and steelhead salmonid populations, which are found in the watersheds as well as coastal marine ecosystems. Technical assistance for erosion control is one of the RCD’s most long-standing and frequently sought services.